There are so many new 2017 releases and previous releases that I have on my 2017 to read list. This year my goal is to read 85 books, so a bit lower than last year. I’ve come up with four different categories with a few books in each category that go alongside my goals of reading more classics and diverse books. Like just about everyone else, I cannot wait for ACOWAR. I mean, ACOMAF was absolutely amazing, so there is no doubt in my mind this one won’t be either. Anyone else really nervous to see what happens? Lady Midnight was such a pleasant surprise. I’m so excited for Lord of Shadows to release this March because I NEED to know what happens next. This one could also fit in the category of more diverse books, but this is one of my top most anticipated releases for the year, so I put it on this list. Renee Ahdieh is an amazing author, so I cannot wait to get my hands on her latest retelling—Mulan! The final installment in the Throne of Glass series doesn’t even have a title yet. If you know me, then you know how much of a Throne of Glass fan I am. Now, Empire of Storms wasn’t as good as the other books in my mind, but I have a feeling this one will blow my mind away. This book is huge. Hence why it’s been called “The Brick”. I already have this book on my shelf, I’m just waiting for a good time to read it so I can really enjoy it without having to worry about reviewing books, etc. Oh, I just love this cover. I’ve had this book for years, so I think I’m finally going to read it this year. 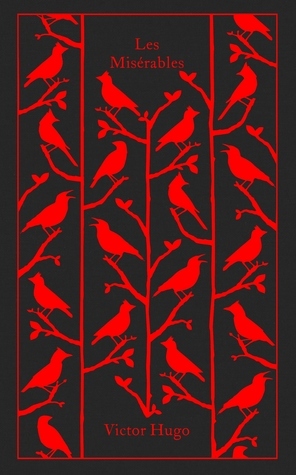 I also really want to buy this copy because i lost the dust jacket for mine and it’s just a blue hardback. I’m finally gonna give in and see what all the Jane Austen hype is about. I’m not really sure what book of hers to start off with (any suggestions? ), but I know I definitely want to read Pride and Prejudice. I know, I know. Even I can’t believe I haven’t read this one. I’ve read and loved so many retellings, I don’t know what’s been keeping me from actually reading Alice in Wonderland. I’ve been meaning to read this one for a while now. Everyone is always telling me how great it is, so I finally plan on reading it this year. 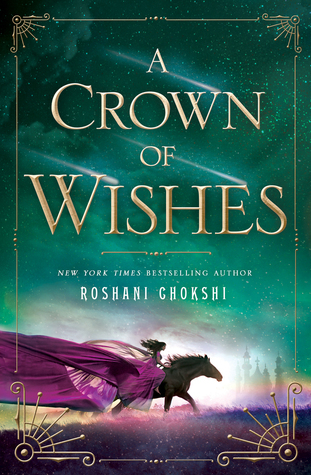 I loved The Star-Touched Queen, so I’m highly anticipating Crown of Wishes, the sequel of sorts. I’ve heard that this one is just as amazing as the first book, so I cannot wait. This sounds like a really interesting book. The main character is agoraphobic and has OCD and anxiety. I’ve read a few books about mental illness and I feel like they can go one way or the other for me, but I’m really excited for this one. 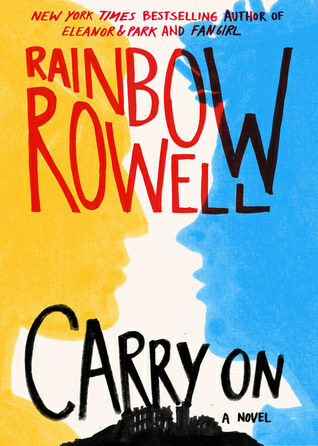 Carry On is a spinoff of sorts to Rowell’s Fangirl, which I really enjoyed. This book has been sitting on my shelves since January, so I definitely plan to read it this year. I know this book is getting a lot of hype in the book community right now, but if you don’t know about it, this is a book inspired by the Black Lives Matter movement. The main character is a sixteen year old named Starr who witnessed the police killing her best friend unarmed. I am extremely excited to read this one, and I know this will be a very important and impactful read. 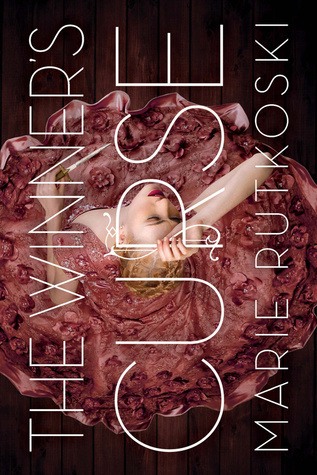 The Winner’s trilogy has been on my TBR for so long. I’ve been wanting to read it for about two years now, but I’m finally going to read it this year. I had a Target giftcard for Christmas so I ordered A Darker Shade of Magic and Crystal Storm, not realizing that the latter was the fifth book in the Falling Kingdoms series, not the fourth. Whoops. What books are you most looking forward to read? Have you ever bought the wrong book in a series, too? 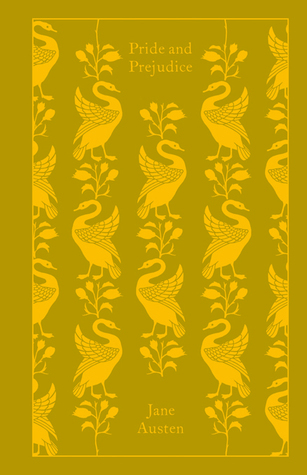 What are your favorite classics that you think I should read this year, too? I feel ya 😉 I’m so excited to read The Winner’s trilogy! 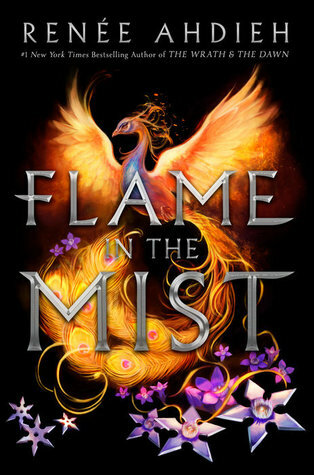 I am also super excited for Lord of Shadows, Flame in the Mist, and The Hate U Give! Little Women and Pride & Prejudice are definitely among my favorite classic novels. 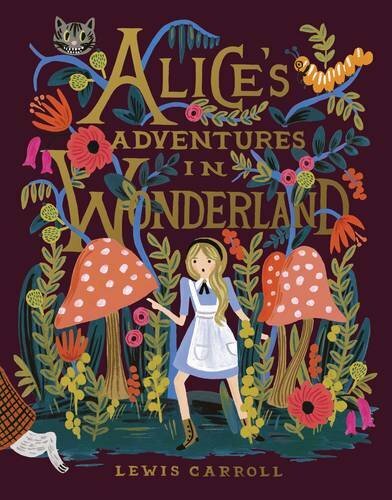 My co-blogger Christy would be so happy to see Alice in Wonderland on this list. 🙂 Oh my gosh, you MUST read Simon ASAP! It’s so so SO wonderful; I know you’ll love it. I hope you enjoy all of these when you get to them, Adalyn! They all sound so good! I’ve been wanting to read all three of those for years. I KNOW! I don’t know what’s been keeping me from reading it because I NEED to! Thank you! Same! I think I have more on my TBR than I actually set my goal to, haha. I actually don’t mind the ACOWAR title, but I liked the first two better. I liked EoS, just not as much as the others (even though I gave it like 4.5/5 stars). I’ve only heard great things about Simon vs, I’m soooo excited to read it! 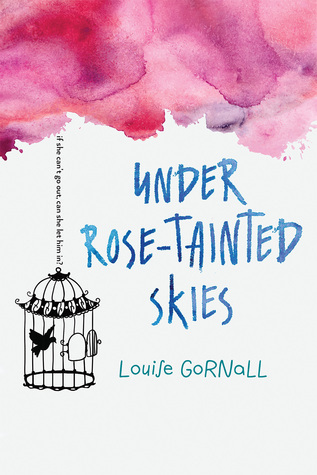 Under Rose Tainted Skies sounds wonderful. I’m glad you liked it. I’ve seen more hits for that series than misses, but I really hope I like it. And yeah I did, haha. I’m super indecisive and I just didn’t like how it looked. But I’m going to stick with this one. Thank you! Doesn’t it sound like such an amazing book? Oh my, so many of these are on my tbr as well! Like Carry On and Simon vs. the Homo Sapiens Agenda and The Winner’s Curse. I hope you get around to reading Pride and Prejudice and Little Women, because I love both of those books 🙂 If it makes you feel any better, I haven’t read Alice in Wonderland, either. But I recently read Heartless and adored the crap out of it, so now I’m feeling a bit more motivated. Hope you get around to all of these this year! I hope you get to them this year, too! 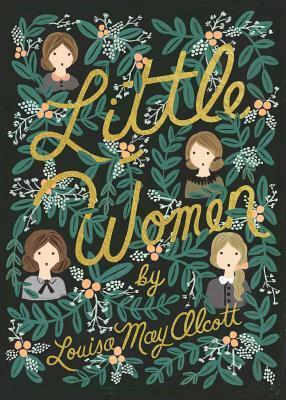 😀 I’m so excited to read Pride and Prejudice and Little Women, especially since I’ve had it since second or third grade. Heartless was a wonderful book 😉 and it only made me want to read Alice in Wonderland more! Ah! Pride & Prejudice and Alice in Wonderland are two of my favorite classics! I love everything Jane Austen (and Pride & Prejudice is my second favorite of her books, Persuasion is my absolute number one). I hope you’ll it as much as I do! 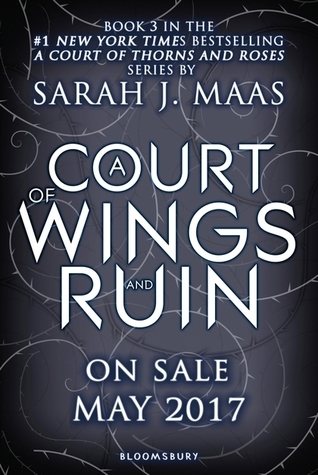 A Court of Wings and Ruin is one of my most anticipated books as well. CANNOT WAIT to see how the story will continue, the wait is agonizing. I actually have an ARC of The Hate You Give at home, I am very excited to start that one as well because it seems like a very meaningful story. (I also need to get a move on Morgan Rhodes’ series… I’ve been meaning to read it forever, but keep putting it off). I’m glad to hear it! That only makes me more excited to get my hands on them. I guess I’ll have to add Persuasion to my list, too. The wait for ACOWAR truly is agonizing. And I am oh so jealous you have an ARC of The Hate U Give! You’ll have to let me know what you think of it. Honestly, I wasn’t really expecting to fall in love with Falling Kingdoms as much as I did, so I hope you get to it, too! I was a bit reluctant going into Lady Midnight as well but now I’m so excited for Lord of Shadows. I want to start reading more classics this year too. 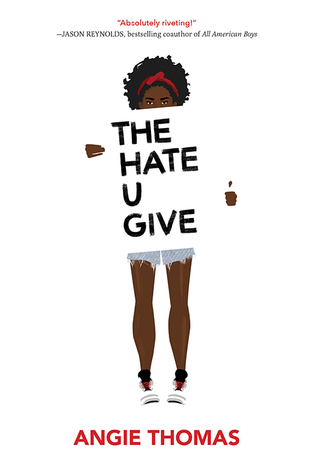 I can’t wait for The Hate U Give – I agree it’s such an important topic and I really hope it lives up to the hype. Ahhh so many good releases this year!! I have a LOT of previously released series I want to read this year (so much catch up). 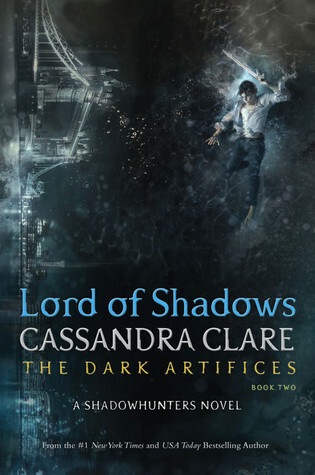 Yes, I cannot wait for Lord of Shadows! Classics is definitely one genre I don’t read enough of. The Hate U Give sounds like such an amazing and impactful story. What series do you plan on reading? Oh, I’m so jealous! I would love to see Les Mis in person <3 I've seen the movie once, but I want to see it again before I read the book.It really is huge, which is why I want to wait for a time when I have enough books all lined up for reviews so I can really take the time to enjoy it. I've heard nothing but great things about Simon! All things Sarah J. Maas and Cassandra Clare are immediately on my list as well! 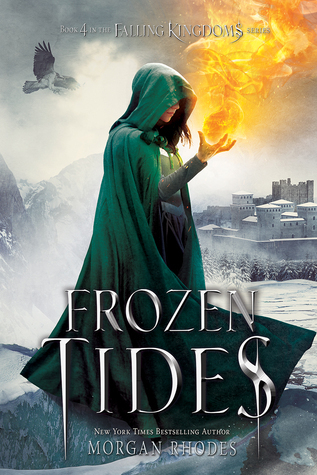 I haven’t yet read Frozen Tides either, which is a shame, since I binged the first three books just last year around this time, and then got distracted by other books and just never continued! 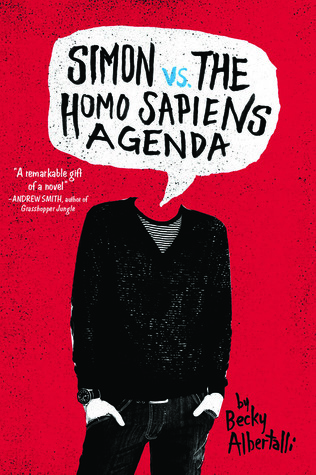 Simon vs the Homo-Sapiens Agenda is so cute and fantastic! Same here! Those two are my auto-buy authors (along with Marissa Meyer and Leigh Bardugo). I read the first two books and then waited months to read the third, whoops. But now I have Frozen Tides and Crystal Storm, so I’ll be sort of binging those (does binge reading really count when it’s only two books?). I’ve heard Simon vs is adorable and just such a great book! I’m so so so excited to read The Hate U Give and to finally read Carry On!